The result of my work there is TuneMap, a web app developed by Alberto González, Guiller Malón and myself, using the Deezer‘s and Echonest‘s music APIs. We had little sleep but lots of fun. 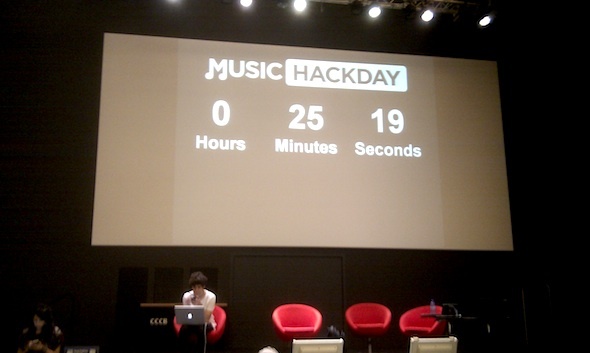 And it was worth it: we received prizes from the Deezer guys! 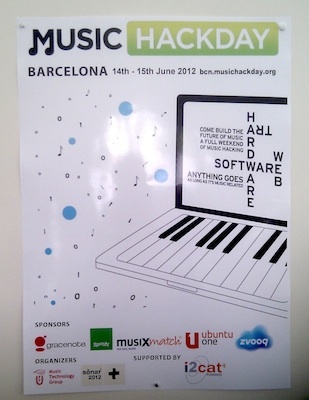 Lots of cool hacks, including TuneMap, can be found in the Music Hack Day wiki. Drop by and enjoy! It would be cool it you could talk a bit about TuneMap – how you got the idea, why map music geographically and how you used the Deezer api to do it. You are right. Please visit my next post.